For any company that has been involved in a breach of contract or non-compete lawsuit in New York over the last few years that proceeded beyond the initial pleadings stage and into documentary discovery phase of the case, there is little doubt that the parties were confronted by the daunting problem of collecting and segregating the relevant and responsive electronic documents from those that are not. "How much justice can you afford?" 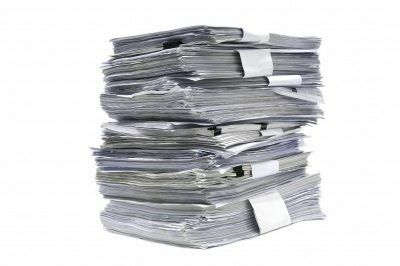 The best way to try to assure that all relevant documents are provided is by having each document reviewed individually. But that process, which may involve hundreds of thousands - and, in some cases, millions - of documents is often not feasible from an economic standpoint. More to the point, the sheer expense of this form of document review could force parties into unfavorable settlements, or to avoid otherwise important and viable cases simply because the discovery phase of the case would be prohibitive. Lest you think I'm exaggerating, consider this: in a non-compete case I recently concluded in Supreme Court, New York County, my side to the case alone produced nearly 700,000 pages of documents! To borrow an old saying, and as hinted to above, "How much justice can you afford?" is a VERY real concern. Increasingly, New York's courts have pushed the parties to agree on targeted keyword searches, which can be somewhat helpful in ferreting out relevant electronically stored information, or "ESI," as it is commonly referred to. Unfortunately, this process is far from foolproof, and runs the risk of missing troves of relevant documents, and mistakenly producing many irrelevant - and also privileged - documents. This technology gives lawyers the ability to jointly agree on a "seed set," of relevant and irrelevant documents, which are then coded as the baseline for the computer-automated gathering and review of documents, thereby potentially eliminating a large portion of the time and costs associated with the process of having attorneys perform the initial review of the documents. Obviously, this technology does not portend to be a cure-all, particularly given that attorneys will often continue to wrangle over what is or isn't relevant. But this certainly seems like a vastly better option than mere keyword searches or manual review of the entire corpus of ESI. Post a Comment to "Courts Push Promising New Tool to Reduce E-Discovery Costs"